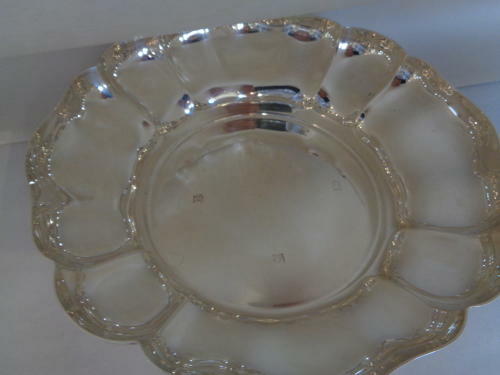 Excellent Condition Solid Silver Dish. Hallmarked Birmingham 1967 by maker Barker Ellis Silver Co. Measures 15.5cms in diameter by 3.75cms high.